Take a bite out of The Morning Toast, weekdays at 10:30 AM ET with Girl With No Job &amp; Jackie O. Live on YouTube. Now available as a podcast too! Happy Friday Toasters! We have a VERY special episode for you today with the one, the only Erika Jayne! She's an enigma wrapped in a riddle and cash and we finally understand what that means. We are asking her all of the questions you want answers to - who snitched to Radar Online, how her relationships are with the ladies, what are her predictions for the reunion, and so much more! Also, we're serving up some much needed justice for Eileen Davidson. Enjoy the episode and shop Erika's Erika Jayne vs. Erika Girardi collection at shoedazzle.com/toast! Happy Holidays, Toasters! This holiday season we are so grateful and thankful for y'all that we wanted to give you a bonus episode before we return on Wednesday, This episode was released last week on our Patreon channel, in addition to 4 extra episodes, so if you want more Toast, head over to www.patreon.com/themorningtoast. Hollywood, welcome to your tape. In this special episode of The Morning Toast, we sit down with Crazy Days and Nights creator, Enty Entersons. Good morning everyone! 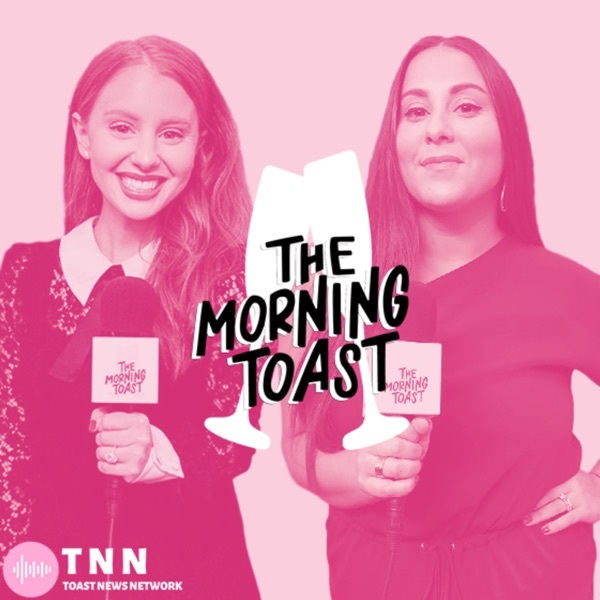 We're so excited to present you with our new show, The Morning Toast with Jackie Oshry & Claudia Oshry. Catch our premiere episode Monday, April 9th, at 10:30 AM ET live on Facebook, Instagram & Youtube.